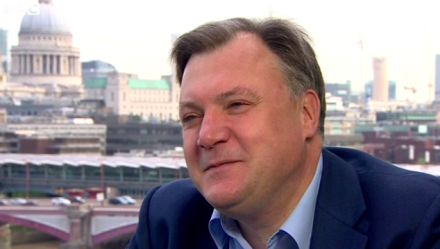 Ed Balls has said he cannot remember a time when Labour members’ views were so “disconnected” from those of swing voters in marginal seats. The former Cabinet minister issued a sombre warning over the state of the Labour Party, with Jeremy Corbyn on the brink of re-election, and said Owen Smith had failed to carve out a clear agenda that was distinct from the party leader. Balls, a former Education Secretary, shadow Chancellor and leadership candidate, said Labour members appeared to have lost the link with voters in marginal seats that the party would have to win over if it is to form a government. Balls’ own former seat, Morley and Outwood, was turned into a marginal due to a redrawing of boundaries and demographic changes before he suffered a shock defeat to the Tories’ Andrea Jenkyns last year. “Clearly the membership of the Labour Party has changed very substantially over the last year and a half,” Balls told Newsnight. “Jeremy Corbyn is clearly speaking for, in touch with, the members of the Labour Party it seems because they are voting for him large numbers. Owen was the guy who was almost the outsider challenging the incumbent. Balls, who has recently published Speaking Out: Lessons in Life and Politics, a memoir, has given a series of blunt broadcast interviews this summer. Earlier this month he said the reforms introduced by Ed Miliband, which allowed hundreds of people to vote in the Labour leadership contest after paying a £3 fee – subsequently raised to £25 – had been a “catastrophic mistake”.